Home / awards night / msi ecs / tech / MSI-ECS sweeps the DELL EMC Awards Night. 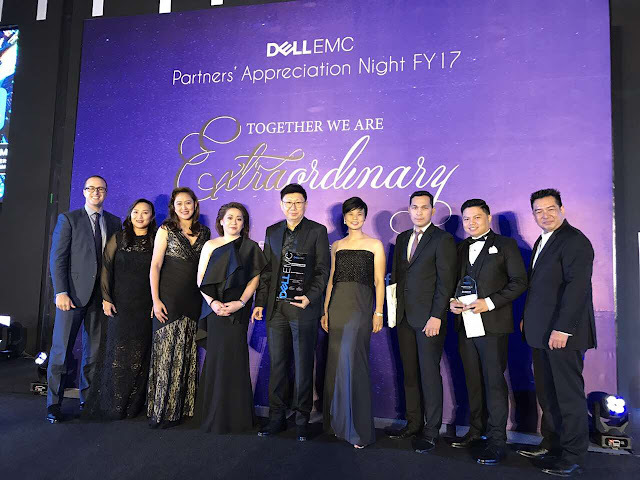 MSI-ECS sweeps the DELL EMC Awards Night. One of the most anticipated events IT vendors, distributors and channels look forward to is the annual awards night. All the major distributors and channels are gathered to bear witness to the announcement of sales achievement awards. MSI-ECS bagged the Distributor Partner of the Year awards for Consumer and Commercial segments because it has posted the highest revenue contribution in both segments in the recently concluded Dell EMC Partners’ Appreciation Night held last March 21 at Shangri-La The Fort. Distributor Partner of the Year for Enterprise Storage (EMC) segments. MSI-ECS distributes the complete line-up of Dell-EMC solutions and services. For product and technology interest, please email marketing@msi-ecs.ph.